Bhubaneswar: The Odisha government would collaborate with noted music director AR Rahman and lyricist Gulzar for the title song of the men’s hockey World Cup which is set to start from November 28 in Bhubaneswar. Odisha chief minister Naveen Patnaik made the announcement on Sunday and acknowledged the release of the teaser. Patnaik thanked Rahman for his effort. “Thanks @arrahman ji for #OdishaWorldCupAnthem. The catchy teaser captures the excitement & euphoria of hockey lovers across India for #HockeyWorldCup2018. Looking forward to the full version & watching you live in #Bhubaneswar & #Cuttack”, he tweeted. “With a teaser so intriguing, we can barely wait for the real thing!” Hockey India said. 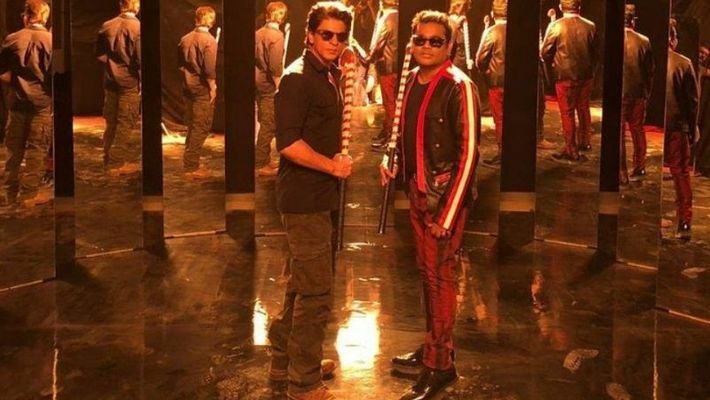 “Presenting to our Indian Hockey Fans the promo for the Official Anthem for the Odisha Hockey Men’s World Cup Bhubaneswar 2018, featuring @arrahman and @iamsrk.#IndiaKaGame #HWC2018 #DilHockey”, Hockey India wrote. With a teaser so intriguing, we can barely wait for the real thing! Rahman will be performing live at the opening ceremony of the hockey World Cup at the Kalinga stadium in Bhubaneswar on December 16. Sixteen teams, including hosts India will compete for the coveted trophy. India are in Group C alongside, Belgium, Canada and South Africa. Their first match is against South Africa on November 28.